Even with the countless preparation and practice hours required to compete at world level, not every competitor will win. With the financial and mental investment high, what happens when the competition doesn’t go to plan? Stepping onto the stage with the backing of sponsors, family, friends, employers, colleagues, and customers is daunting, even more so on the world stage. With the right mindset, competitions can be richly rewarding, regardless of the result. 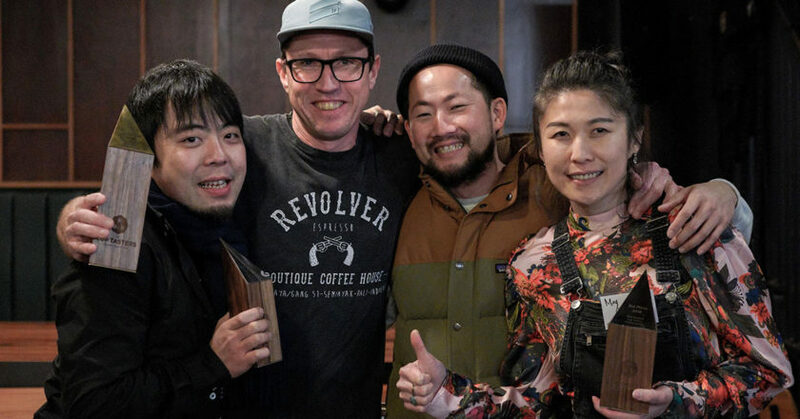 With intuitive skills and an impressive coaching ability, Masako Yamamoto coached and travelled with 2017 and 2018 New Zealand Latte Art Champion Leo Li to the World Championships in Brazil. 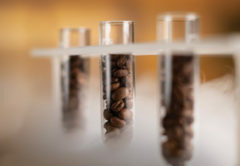 Masako says her background as a barista trainer gives her the invaluable skill to identify a student or staff’s strengths and weaknesses, and help bring them out. “I think that any great coach has the ability to see the potential in a person and help develop their skills,” she says. 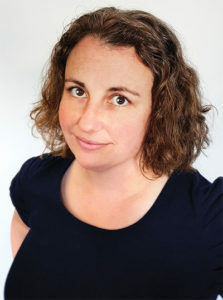 Emma McDougall is the Communications and Administration Co-ordinator of the NZSCA. With Leo placing a credible seventh in the World Latte Art Championship (WLAC) in 2017, expectations were high. “This year, we practised a lot more. We also had a lot of help from some very experienced judges. I feel as though Leo’s routine was much better [in 2018]. 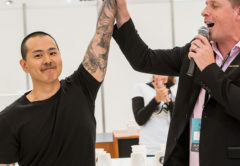 His technique as a barista has grown, and the competition is moving much more towards needing to be a multi-skilled barista, much like the Barista Championships but with a focus obviously on latte art,” Masako says. While there were some weaknesses in the performance known to the team, Masako says in hindsight they should have spent more time addressing them, and trying some different strategies. 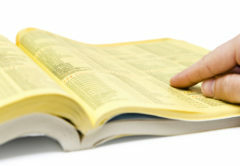 “You never really know how it’s going to play out when you try a new strategy. It’s always a risk, but you learn from it,” she says. Leo remains optimistic, saying his ability all comes down to practice. “Next time, I will spend time designing and practicing more difficult latte art patterns. Then practice, practice, and more practice,” he says. Between competitions, Leo says the best thing he gained from his WLAC experience was improvement in his skills, particularly in controlling milk flow. He encourages aspiring competitors to stay composed on stage. “Remain calm in the competition and believe in yourself,” Leo says. Stuart Hargie represented NZ for a second time on the World Cup Tasters stage. He says many things needed to align on the day in order to become the champion. Unfortunately for Stuart, when it came time to compete, his competition cups were deemed unsuitable, so he had to change times and compete at the end of the day. “I thought I was prepared and relaxed until my competition time came. 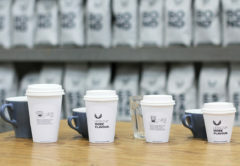 You think, ‘this is what I do every day, just pick the different cup’, which is easy to say until you’re standing on the world competition stage. It’s a mental game as well as sensory,” Stu says. Stu’s tenacity to compete every year has netted mixed results. He swore he retired from the stage, though it wasn’t long before he suggested the possibility of a comeback. “A few months down, I would love to take the challenge on again and see if I can beat the nerves and improve my performance,” he says. Stu says spending time at the Belo Horizonte expo, International Coffee Week, was also an interesting experience, which was more producer-focused than on roasters and machinery. What he and Masako also admired was the opportunity to catch up with fellow industry members. “One of the best things about travelling to the competitions and meeting people within the same profession from all over the world is that your perspective on the ‘world of coffee’ expands. I think it helps reinforce your own identity and where that fits, whether that’s as a company or as an individual,” she says. Although there were no podium finishers on the day, our NZ champions have shown that by immersing themselves in the competition experience, they were able to find inspiration and motivation. We are very proud. Thanks to our amazing sponsors who make the NZ national events happen in order to get our competitors to these international events. Next up on the calendar is the NZ Cup Tasters Championship, which will be held in Auckland at Ozone, Grey Lynn on 3 May, followed by the Meadow Fresh NZ Latte Art Championship on 5 May at La Marzocco, Parnell. The winners will fly to Berlin in June, thanks to NZSCA’s generous sponsors.